Gain valuable insights and learnings through innovative thought leadership and in-depth technology sessions. We’ve partnered with IDG, CIO, Network World, Computerworld and CSO to host interactive discussions with industry experts. 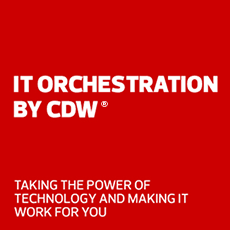 CDW executive briefings help you formulate strategies to address your current IT goals and challenges. Learn how we can help you solve your technology challenges and enable growth at industry-leading event experiences. The CDW Future of Work SummIT on Enabling Teamwork and Innovation with Modern Technologies will bring together industry experts and IT executives to discuss where today’s workplace technologies are headed, and why they’re critical to success for innovation and today’s teamwork-driven business. Cisco Live is Cisco’s annual customer and partner conference where you will build the foundation for your digital future. Transform your outlook, your career and your potential through learning direct from Cisco’s best and brightest. In this world, success favors enterprises that can invent, reinvent and deliver new outcomes at warp speed. Join us to explore the hottest technology trends and realize a vision for the future enterprise that will advance the way we live and work. You’ll find it all at HPE Discover. The CDW Core-to-Cloud SummIT on Building IT Infrastructure for the Digital Future will bring together industry experts and IT executives to discuss where modern data center, cloud and networking strategies are headed, and why they’re critical to success for today’s increasingly digital business. The ISTE Conference & Expo is the most influential edtech event in the world and the must-attend event for thousands of educators looking to harness the power of technology to advance learning and teaching. The CDW Protect SummIT on Managing Security and Cyber Risk for the Digital Future will bring together industry experts and IT executives to discuss where today’s cyber risk and security strategies and technologies are headed, and why they’re critical to success for today’s increasingly digital business. The EDUCAUSE Annual Conference calls together the best thinking in higher education IT. This is where professionals and technology providers from around the world gather to network, share ideas, grow professionally and discover solutions to today’s challenges. Whether you’re a strategic leader, IT executive or on the front lines of managing data and developing applications, join us to upgrade your skills and learn about emerging hybrid cloud technologies. NetApp Insight helps you get more from your NetApp investment. The CDW IT Leadership SummIT on Building a Culture of IT Leadership and Innovation will bring together industry experts and IT executives to discuss how IT innovation can be accelerated and nurtured, and why this human element is critical to success in today’s competitive business environment. Adobe MAX is the annual gathering of over 12,000 graphic, web,and multi-disciplinary designers; creative and art directors; film, video and motion graphics pros; photographers; and creative leaders. Where else but NRF can you find 36,000+ retail professionals getting together to discuss the future of retail and retail technology? We hope we saw you at Booth #3173 to explore all the ways IT is unlocking retail possibilities. For more information about our events, please contact CDW Events.